Being able to see properly is one of the most important skills, it can increase your survivability in almost every dangerous scenario. Since most of the time the two biggest obstacles to our “gift of sight” are darkness (at night) and being blinded by the Sun (during day) we’ve decided to focus on a Flashlight and a pair of sunglasses. Since most of the time we end up being in an urban environment we wanted to find two practical, durable pieces of gear. We also didn’t want to draw a lot of the attention looking all tacticool but fit a bit more in the environment. We ended up with two products with a very good price/quality ratio: the Outlier by Smith Optics and the 6vx by Inforce. The Smith’s Outlier has a dark gray lens tint that cuts the glare and reduces the eye fatigue in very bright, exposed sunny conditions. It’s also very effective at sea or at altitudes where bright conditions can become exponentially powerful from the glare of the reflection on off of the snow. They provide 100% protection from harmful UVA/UVB/UVC rays. The Outliers look and feel well made, solid and light. They provide a secure and comfortable wear due to the hydrophilic megol nose and temple pads. We’ve been using these shades for many activities, such as water sports, biking, hiking and trail running and the really feel like they won’t come off. But, as we said in the introduction, we tried to find a product mainly for Everyday Carry. To accomplish this task we believe that a pair of sunglasses has to be: comfortable (when worn for an extended period of time), durable (since we use them almost every day they don’t have to scratch easily or bend) and they have to protect the eye without drawing a lot of attention (“sure your tacticool m-frames protect you pretty well, but is it really necessary to wear them in the grocery store in the city center?”). We’ve been using these shades also on the shooting range, and they worked magnificently. The fact that after almost three months of hard use the look as fresh as out of the box, and the fact that they are adaptable and still remain very comfortable in so many applications, make the Smith Optics Outlier one of the best pair of EDC sunglasses on the market. Last but not least: if you consider the price point is around $80, they are definitely a great value for your dollar. The INFORCE 6vx is a 200 Lumen handheld LED flashlight designed for those who demand a compact, durable illumination tool that delivers lots of punch. It can be easily carried on a belt or in a pocket as an Everyday Carry tool. This flashlight is very light due to its construction of carbon fiber and ABS plastic, but maintains the great mechanical properties of a standard anodized aluminium one. The fiber composite body is lightweight and durable. Its patented heat-releasing venting system maximizes LED performance and keeps the light cool even with prolonged use. Also the strike bezel is made of hard high quality polymer (just in case things really go south). 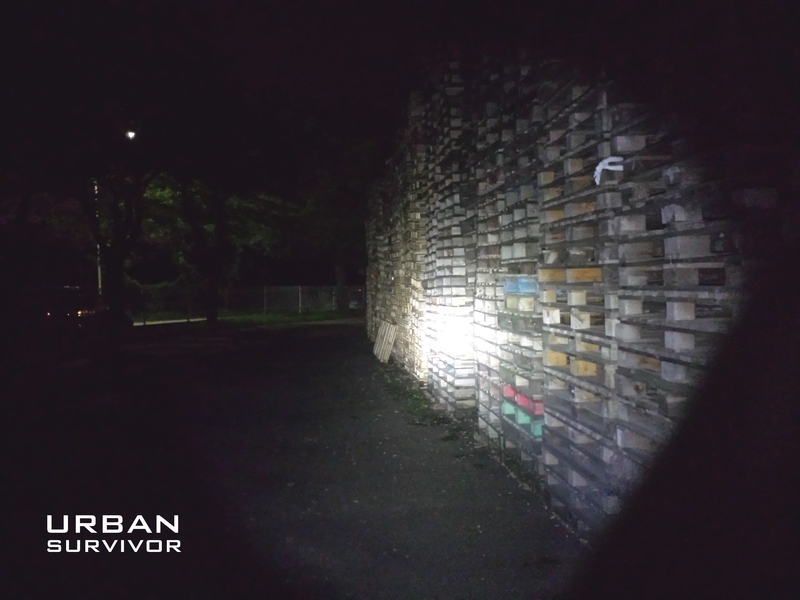 The flashlight itself is powered by 2 CR123 batteries and it will last for approximately 2 hours on high setting (with an output of about 200 Lumens) and for approximately 10 hours on low setting (about 40 Lumens). The high-efficiency emitter provides a longer run time and is virtually immune to failure. The precision optic housed in the bezel provides a focused hot spot and a balanced peripheral light. The flashlight has three main modes: High (200 Lumens), Low (40 Lumens), Strobe (200 Lumens). As an EDC tool the 6vx looks like it can be used both for self defense (having a very hot and focused beam) and for normal tasks. This flashlight is very comfortable to carry; it’s not too heavy or bulky but when you grab it it gets the job done. The different modes allow you to operate this light in various environments (you can either look for something in your car or make your way in a dark alley). We wouldn’t use this flashlight for a tactical application. It is possible to mount this light to a rifle, but, since you don’t have an instinctive “momentary-on” mode, we don’t think it’s a good idea (you don’t want to give out your position because you can’t turn off the light, and we know that under stress it’s not easy to operate a complicated switch). If you really need to mount it check out the “momentary-only” model: the 6vt, or the rifle lights. The only “con” of this light is the fact that the pocket clip works only for 2/3 of the body of the light; but if you carry it inside your pocket (as we recommend) it will work just fine. The light comes in a pretty nice case, but it does not include a sheath (and that is something you want to have if you use this light for camping or hiking) but you can find some good aftermarket ones. It’s also possible to attach 550 cord to the top of the belt clip. The light seems very durable and well made, it’s water resistant up to 66 ft. deep (20m). INFORCE provides a lifetime warranty on this product. We suggest utilizing this light with quality CR123A lithium batteries (Duracell, Energizer, Panasonic, Sony, SureFire). The price point for the 6vx is around $100, but you can compare this product (for quality and technology) the te more expensive and famous brands. Once again, great value for your dollar.